It can be a good idea to have two people on hand to measure your pet as getting it to stay still can be difficult. Additionally, if you are struggling, placing your pet in front of a wall and marking the head to tail, head to ground, and the shoulder to ground measurements on the wall can make the job simpler. Please see our 'How to do it' guide for the specific measurements we'll need to provide you with a quote. If you're measuring a puppy from a breeder, please remember it will grow considerably between the time it leaves its mother and the time it travels. Follow our below guide to ensure your pet is measured accurately so we can provide you with the correct quote for travel. You will need to add the measurements to our simple quote form. 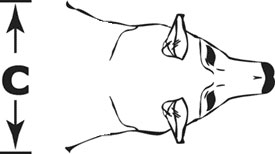 Measurement A: The length of your dog (in cm) from the tip of its nose to the back of its body, excluding the tail. Measurement B: The height of your dog's leg from floor to shoulder (in cm). 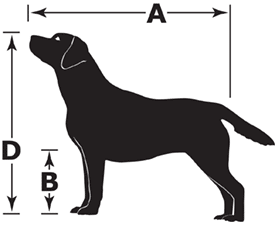 Measurement C: The width of your dog (in cm) across the shoulders, or the widest part of the dog if not the shoulders. Measurement D: The height of your dog (in cm) from the ground to the top of its head, including the ears if they are erect. It is not necessary to measure cats unless they are unusually large. 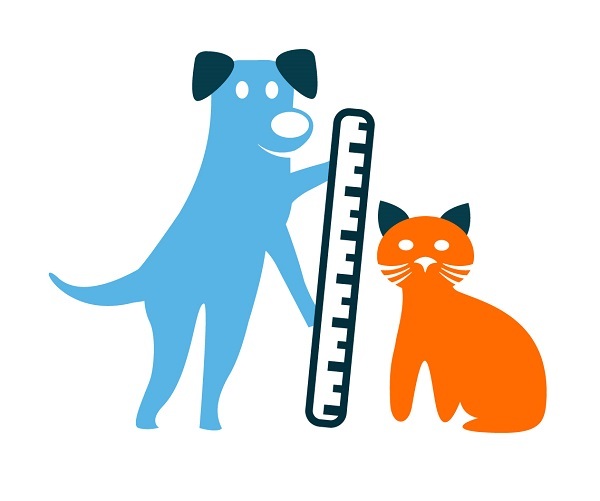 If you have specific questions about measuring your pet, please contact us. We put the comfort, safety and well-being of your pet above everything else, so ensuring they travel in the right air kennel is extremely important. We can provide you with either a standard plastic, or custom-made wooden crate which meets the strict IATA guidelines. Providing us with your pet's correct measurements will mean we can ensure it has the best possible journey by guaranteeing there is enough room to stand up, lie down and turn around – unless you're travelling in first class, your pet will probably have more room than you! Allowing your animal to travel in a crate that is too small is not only dangerous, but it goes against the very strict airline rules. When your pet is received at the airport, your carrier will check to ensure the size of the crate is suitable for the pet and they will refuse your pet travel if it is deemed to be too small. Additionally, as our quotes are based on the measurements of your pet and the volume of the sky kennel, failure to provide the right measurements could mean an additional cost is incurred. Don't be tempted to add a few centimetres to your measurements, as we do this when calculating the right travel crate size. Please complete this form to receive a quote, or do not hesitate to contact us if you have specific questions about the air kennel your pet will travel in.